A chapter Overview that introduces you to the topics covered and their importance. Study Steps that review the business transaction under discussion; show how to recognize, measure, and disclose issues related to that transaction; and demonstrate how to then make the appropriate calculations and apply the appropriate accounting methods. Tips alerting you to common pitfalls and misconceptions and to remind you of important terminology, concepts, and relationships. Exercises and Multiple–Choice Questions allowing you to practise using material that is representative of homework assignments and exam questions you are likely to encounter. Purposes identifying the essence of each exercise of question and linking it to the text material. Solutions showing you the appropriate solutions for each exercise and multiple–choice question. Explanations giving you the details of how selected solutions were derived and explaining why things are done as shown. Approaches coaching you on the particular model, computational format, or other strategy to be used to solve particular problems. 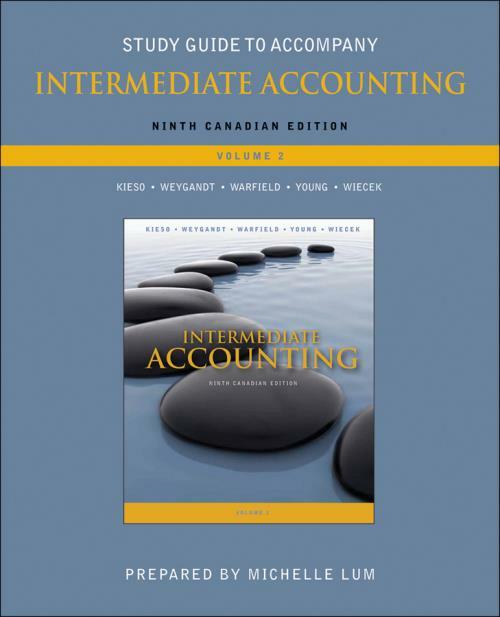 If you are looking for a valuable aid to help you in our intermediate accounting course, you?ve found it in the Study Guide to accompanyIntermediate Accounting, Ninth Canadian Edition.